I don’t usually experience beauty attacks when considering art from France of the late 1700s and early 1800s. Neoclassicism isn’t my thing! But this artist is a standout in a period otherwise dominated by history/political art. Any artist who pursues the love of painting flowers while France was going through the Reign of Terror is OK in my book! And, it reminds me that there are many other artists who have specialized in, or simply done a nice job with, works about flora and plants. Some of the details of Pierre-Joseph Redouté’s life sound like a charmed folk tale. Take the story that he once visited Marie-Antoinette and Louis XVI (both died 1793) in the Bastille because they wanted him to document a flowering cactus that was there?! 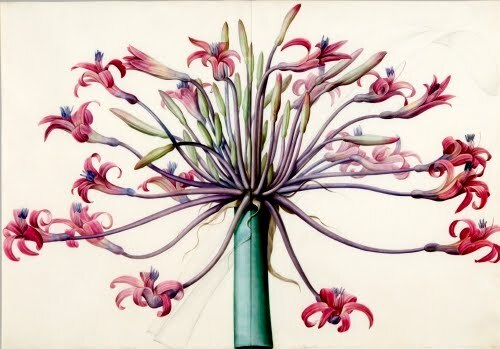 Nevertheless, he was a highly respected botanical illustrator, and he escaped the French Revolution with his head. Born of a Flemish family of painters (mostly for churches), he started painting flowers, plants, and trees as a child. 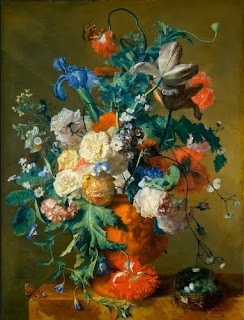 He studied the masters of Dutch Baroque painting as a young adult, and was particularly impacted by the floral still-life painting of Jan van Huysum (1682–1749). He went to Paris in 1782, where he began earning his living doing theater decoration. 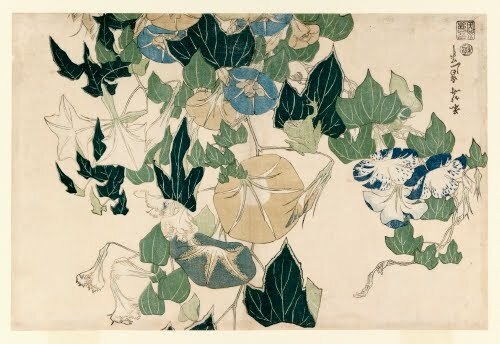 In his spare time in Paris, Redouté would spend hours doing flower studies in the Garden of the King. He came to the attention of the Superintendent of Paris Waters and Forests, Charles Louis l’Héritier (1746–1800), who subsequently mentored him and encouraged him to produce scientific studies of flowers. He introduced Redouté to studies of the dissection process and, more importantly, his massive botanical library. 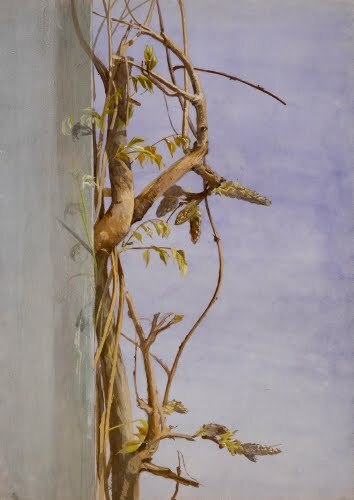 Under l’Héritier’s guidance, Redouté learned the watercolor technique of Gerard von Spaendonck (1746–1822), a fellow Flemish botanical artist. Spaendonck eventually recruited him as a staff artist. Spaendonck had connections to the royal family, and eventually Redouté secured a position as a court botanist to Marie-Antoinette. He documented hundreds of exotic flowers in royal estates, such as the Tuilleries and Versailles. He managed to avoid the guillotine by cozying up to the Bonaparte faction during the 1790s, meanwhile becoming one of the most popular botanical painters in France. Before Napoléon (1769–1821) made himself emperor, Redouté began associating with Napoléon's wife, Joséphine de Beauharnais (1763–1814). He continued to produce watercolor studies that eventually were translated into colored engravings in books, personally learning the stipple engraving process. In 1805, a year after Napoléon’s and Joséphine’s coronation, he was appointed a court flower painter to the empress. Typically, he again switched allegiances back to the Bourbon royal family after Napoléon was deposed in 1815. The beautiful study above was produced for the publication The Garden of Malmaison (1803) by the botanist Étienne-Pierre Ventenat (1757–1808). Redouté’s watercolors betray the influence of Spaendonck in the contrasting values of high-intensity color and transparent high values. This Josephine’s March Lily is a fitting subject for Redouté, because Malmaison was Joséphine’s private palace on the banks of the Seine 15 km (9 miles) west of Paris. The rest of his life he spent teaching flower painting. Between 1817 and 1824 he produced his greatest success, a portfolio of prints of his watercolor studies called Les Roses. Here is a painting by Jan van Huysum, whose work greatly influenced Redouté to pursue botanical painting. Bridges, a native of Massachusetts, was encouraged in her studies of flora by the pioneering woman sculptor Anne Whitney (1821–1915). Bridges, like Redouté, worked exclusively in watercolor. I know Hokusai specialized in landscape, but he also produced numerous examples of the time-honored subject matter of bird-and-flower painting (kacho ga). Even in woodcut form, these compositions are stunning. 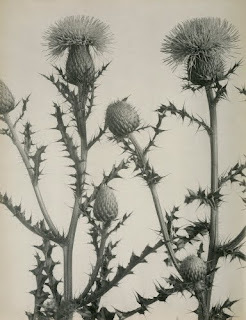 Serious study of plants and flowers in photography began early in the development of the art form. Lincoln concentrated exclusively on documenting flowers. Beginning in the 1890s, he developed a group of platinum prints, first published in 1906 as The Wildflowers of New England. He published several editions of the study. The 1906 edition had 75 images, and by 1914 it was up to 400 images. Guo was trained in traditional Chinese landscape and bird-and-flower painting in Beijing before the Communist takeover. In 1953, he moved to the US, where he was exposed to Abstract Expressionism. His bird-and-flower works from after that period reflect the action painting strain of Abstract Expressionism.